Yes, there really is a Sarabeth! Sarabeth is a multi –award winning restaurateur, artisanal baker and jam maker, cookbook author and winner of the prestigious James Beard Foundation’s “ Outstanding Pastry Chef of the Year” award. In 2015, she received an Honorary Doctorate at LIU-Post University for her remarkable achievements. 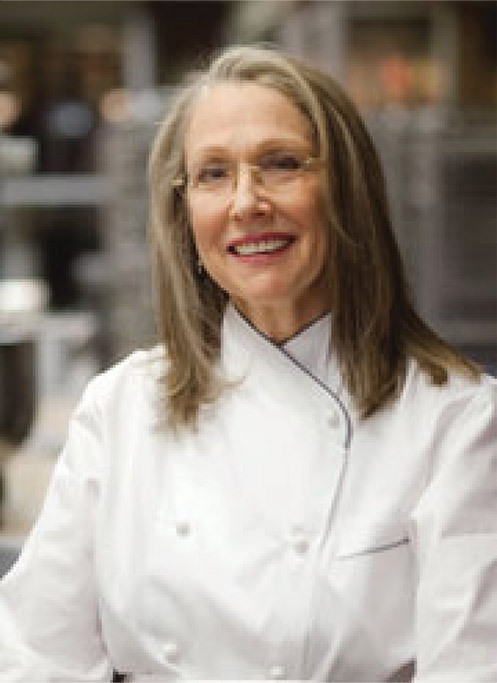 In 2015, she was elected to the Specialty Food Association’s Hall of Fame. 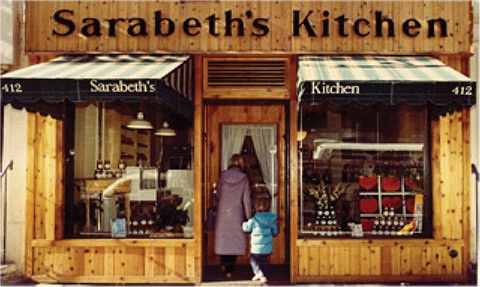 Sarabeth first began her business in 1981 making her family’s unique 200 year old recipe for Orange Apricot Marmalade at her apartment in New York City. Today, Sarabeth and her husband, Bill Levine, operate a 15,000 square foot jam manufacturing facility and a 4400 square foot wholesale bakery, café and retail shop in Manhattan’s Chelsea Market. Under her direction there are presently 16 successful Sarabeth’s restaurants throughout the world; 10 in the United States, 4 in Japan, 1 in South Korea, 1 in Taiwan. Scheduled to open in 2017 are Sarabeth’s restaurants in Nagoya, Dubai and a second location in Taiwan. Sarabeth is the author of two highly acclaimed cookbooks, “ Sarabeth’s Bakery – From My Hands to Yours” published in 2010 and the “Good Morning Cookbook”, published in 2015. The Sarabeth brand is very well recognized for its excellence in the New York metropolitan area and, indeed, throughout the nation due to her frequent appearances on QVC, TV, in magazine articles, newspaper stories and by customer word of mouth. William (Bill) Levine is the co-founder, with Sarabeth, of the Sarabeth companies. He has been married to Sarabeth since March, 1981, just after the launch of the first Sarabeth product on the market, the Orange Apricot Marmalade. A graduate Civil Engineer from City College of New York , he operated his own construction company, Builder’s Task Force, Inc. which he formed in 1975. His company built the first Sarabeth’s retail store, and Sarabeth’s East and West Side restaurants. In 1989, Bill phased out of the construction business and began devoting his full time activities to developing the Sarabeth products and brand. Today, Bill is the CEO of SBK Preserves, Inc., the manufacturing arm of the Sarabeth’s entities and is responsible for the production, sales and marketing of all Sarabeth’s products. 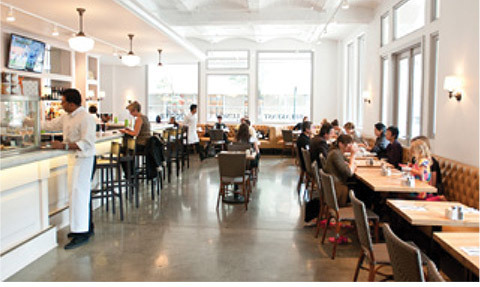 He is also instrumental in extending the restaurants and the products to its foreign locations. In 2015, Bill was inducted into the SFA’s Hall of Fame and has served on its Board of Directors. Charlie joined Sarabeth’s in June 2011 as President and Chief Operating Officer of SBK Preserves, Inc. the corporation that manufactures Sarabeth’s line of jams and other gourmet products. Charlie is a graduate of Haverford College and earned a MBA from Columbia University. A former partner in the famed Ciao Bella Gelato Company, Charlie sold his company to a private equity group in 2008 and remained onboard until 2011. A fellow member of the NASFT (The National Association for the Specialty Food Trade), renamed the SFA (Specialty Food Association), Charlie knew Sarabeth and Bill for 20 years and had great admiration for their company and brand. In the early years of both companies’ existence they had teamed up in a joint venture to produce a line of ice cream called “Ciao Bella Sarabeth’s”, an extraordinary combination of Sarabeth’s spreadable fruits, baked treats and Ciao Bella gelato. Charlie is working closely with the owners of Sarabeth’s to help manage brand equity, build consumer awareness and loyalty, and structure the business for aggressive growth and profitability. In 2016, Charlie was inducted into the SFA’s Hall of Fame. He is on the Board of Directors for the SFA and Ciao Bella Gelato.